So, I took a few pictures of the Lakeland Mills fire…and got contacted by The Canadian Press the same night asking if they could use my photos for their story. Cool. Sounds good. 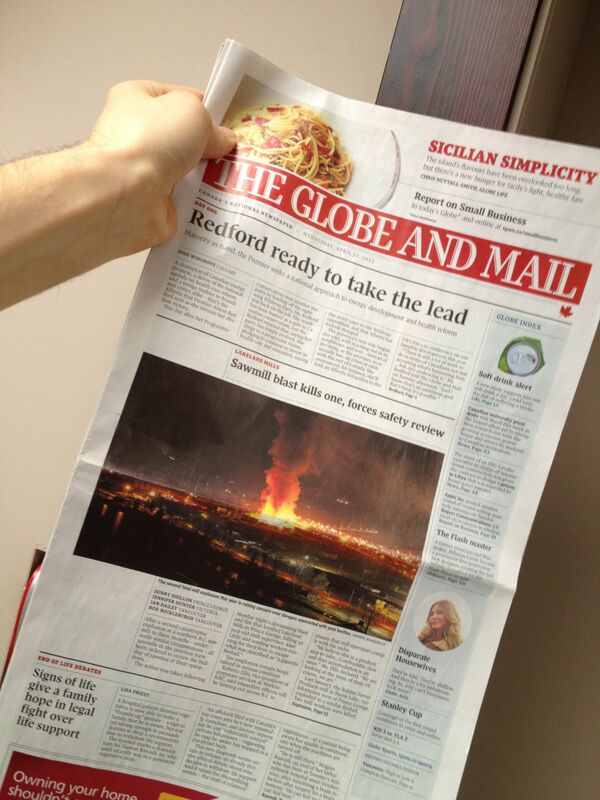 Next thing I know, they’ve got my photo on the cover of the Globe and Mail (!). Tragic circumstances, but it was pretty cool to have one of my photos as a cover story.